Enter the Letter or Name you want on the Shirt. Do you have a Girl who doesn't settle for the Damsel in Distress stories, a little Knight in Shining Armor? A little Queen of the castle? 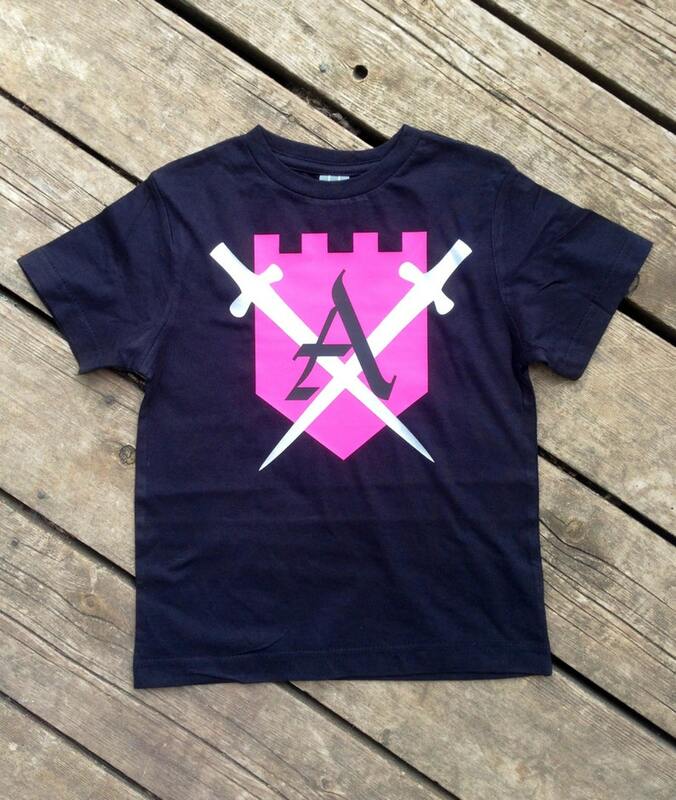 This Custom Shield and Swords Knight T-Shirt makes a perfect birthday gift, or a great shirt for comfy everyday wear. This listing is for ONE t-shirt (not both). Durable vinyl design features a large castle/king shield with crossing swords and your little Knight's name or large letter Initial. 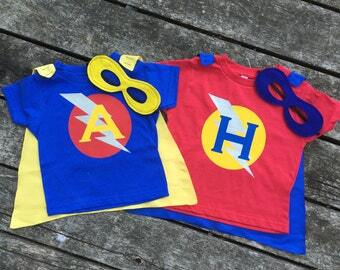 Bring out the imaginative play in your child with this custom made shirt, personalized with any name or letter you choose. Seller was quick with communications and helpful. The t shirt came out great and arrived really quickly. Thanks so much! !